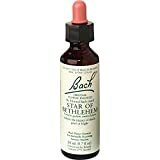 Star of Bethlehem: This Essence helps when you have been through an traumatic experience both during and after, even an experience that have happened when you were a child. Star of Bethlehem neutralizes the effect of trauma. 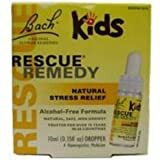 Bach Kids Rescue Remedy an alcohol-free formula in a kid-safe plastic bottle and dropper created to help children during times of stress and anxiety. Safe, gentle, non-drowsy formula.